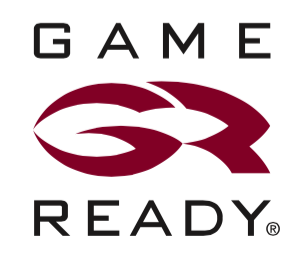 The Game Ready System combines Intermittent Compression with Circumferential Cold Therapy in one fully adjustable, easy-to-use, and adjustable application.RICE (Rest, Ice, Compression, Elevation) has long been used to treat acute and chronic injury and to assist in the recovery and rehabilitation after Orthopaedic surgery. Traditional ice packs, cold therapy and static compression devices can be messy, require constant supervision, ongoing maintenance and difficult to use. Developed by scientists and doctors using proprietary NASA space suit technology, the Game Ready System simultaneously delivers both adjustable cold therapy and intermittent compression, making it easy to apply the two most difficult-to-manage aspects of the RICE regime.The microprocessor-driven Control Unit and our Dual-Action Anatomical Wraps, featuring NASA spacesuit design, enable your treatment with the Game Ready System.